The MMA world was dealt a disappointing blow when it was confirmed that former welterweight champion Robbie Lawler was forced out of his awaited showdown with Donald Cerrone at November 12’s UFC 205 from New York City. Just confirmed with @danawhite, Cowboy Cerrone vs. Kelvin Gastelum agreed for UFC 205 on Nov. 12 at MSG. While it may not be against a storied MMA legend like Lawler, defeating a fighter as highly ranked as Gastelum would arguably put Cerrone, who’s finished off Rick Story, Patrick Cote, and Alex Oliveira since moving up to 170 following a failed title bout against Rafael dos Anjos at lightweight, in title contention in one of MMA’s most talented divisions. 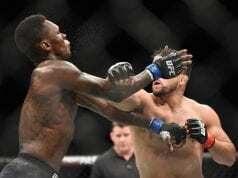 Although he’s had repeated problems making weight, Gastelum has picked up wins over some of welterweight’s finest, including a decision victory over former champion Johny Hendricks at July 9’s UFC 200 from Las Vegas. 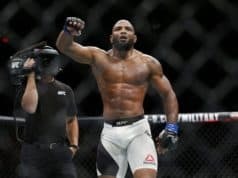 He’s currently split his last four bouts at 2-2, but both losses were closely contested split decisions to current champ Tyron Woodley (a bout many felt he won) and stalwart vet Neil Magny. Gastelum was originally slated to face Jorge Masvidal at UFC Fight Night: Dos Anjos vs. Ferguson on November 5 from Mexico City, Mexico.